Rev. Stan Olsen was born in Hartford, Connecticut. He was baptized into his faith as an infant at Bethany LBC in East Hartland, Connecticut. He was raised in a Christian home with loving parents. 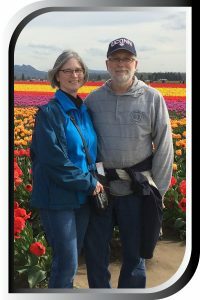 He graduated from Seattle Pacific University in 1975 and completed his Master of Divinity degree from Lutheran Brethren Seminary in 1978. He has served churches in Eau Claire, Wisconsin, Appleton, Wisconsin, and Huntington, New York. He has served as CLB Home Mission Director of Operations (1999-2006); CLB North American Mission Assistant Director (2006-2008); CLB Assistant to the President (2008-2009); CLB Pacific Regional Pastor (2010-2015). He and his wife Cheryl live in Fergus Falls, Minnesota. They have five adult children.